Attached please find a press release regarding our upcoming spring show, which was sent today to several print and broadcast media outlets. 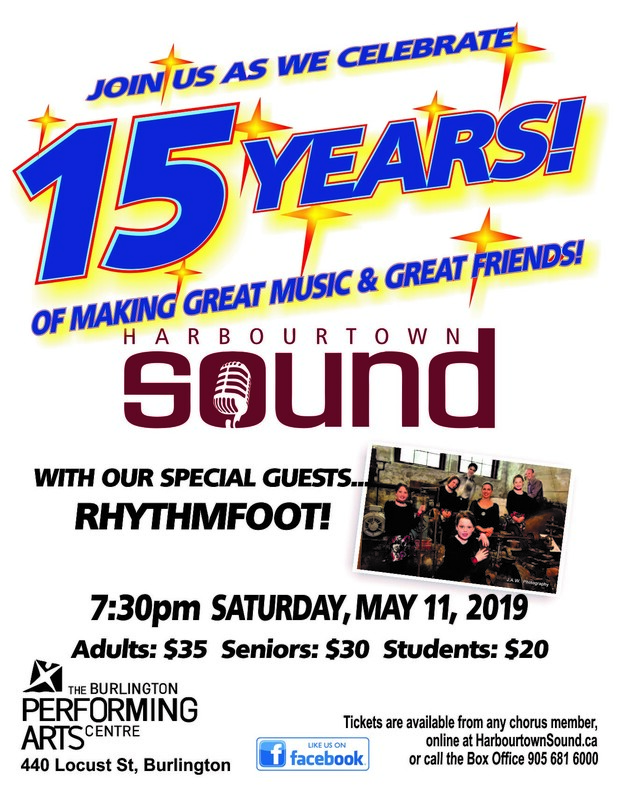 Hard as it is to believe, 2019 marks the fifteenth year in which the men of Harbourtown Sound have been making music and making friends. You won’t want to miss our annual spring show to mark this grand anniversary. Once again, it will be at the Burlington Performing Arts Centre, and tickets may be requested from chorus members now. Special guests are Rhythmfoot, a fiddle-playing, step-dancing family who will amaze everyone attending. Tickets may be purchased from any chorus member. 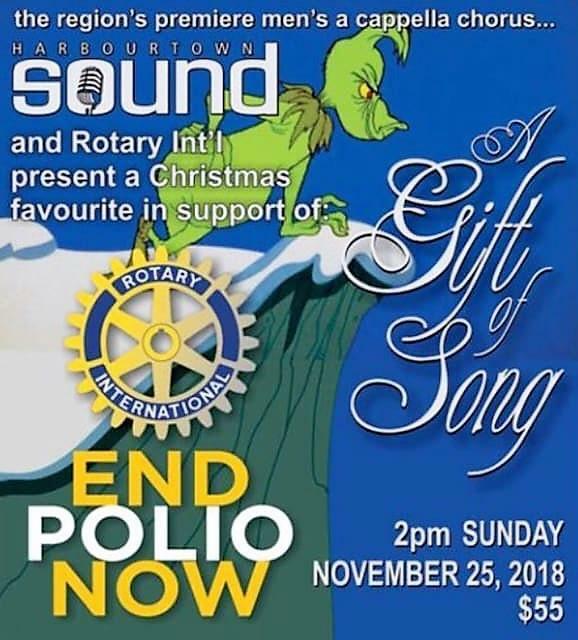 The Parish Church of St. Luke in Burlington will host a Christmas concert by Harbourtown Sound, Hamilton’s award-winning a capella chorus, on Sunday, 16 December, 2018, at 3:00 pm. Hamilton’s award-winning a capella barbershop chorus, Harbourtown Sound, will be performing a special Christmas show for children at the Woodview Mental Health and Autism Services in Waterdown on 19 December 2018. Here is a press release sent today to several regional media outlets about our special show yesterday for Rotary's End Polio Now campaign.